Large Moroccan Floor Lamp with Multi Color Glass from Badia Design Inc. It can be displayed on the floor, tabletop or hanging. Hand-tooled and not mass produced by machines. It has Traditional Moroccan Floral Patterns and Geometric Cutouts. A unique focal point for entryways, dining rooms and bedrooms. 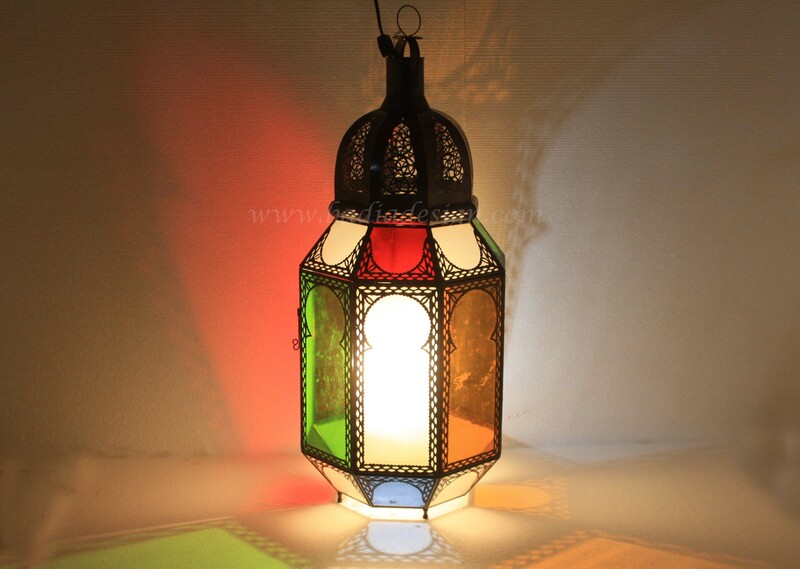 Our Moroccan Lantern adds a uniquely foreign touch to your home or office. Great for indoor or outdoor lighting, parties, hotel lobby or just about any place in your home or office. Click the button below to add the Large Floor Lamp with Multi Color Glass - LIG292 to your wish list.